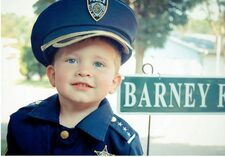 This is the official youngest deputy in Mayberry. 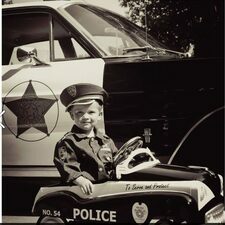 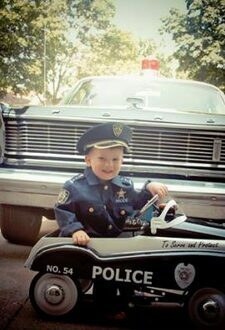 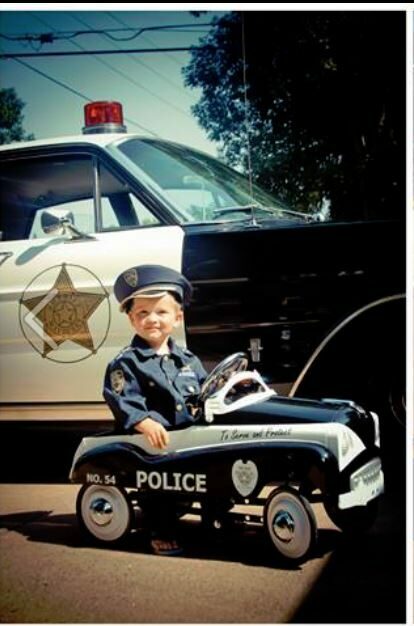 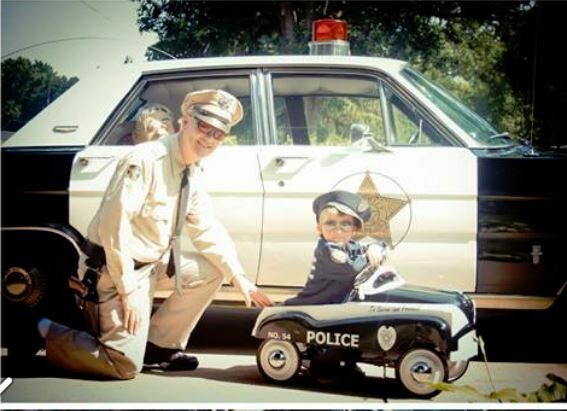 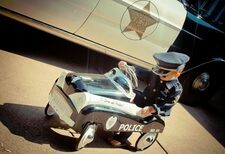 Little Jameson Paul is shown in his full uniform and his official squad car. 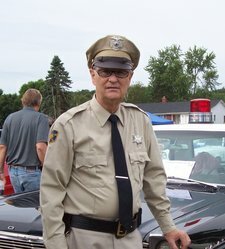 I sold Jameson's grandfather an old 1949 convertible for $10 back in 1967 when I began college. 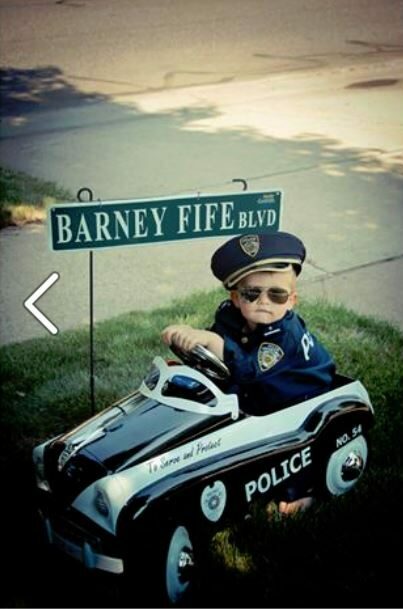 It is great knowing that Mayberry is safe having Jameson patrolling the sidewalks of his neighborhood.